Funeral etiquette regarding flowers and what, if anything, to send relatives of the deceased appears daunting but is, in truth, far simpler than most at first think. 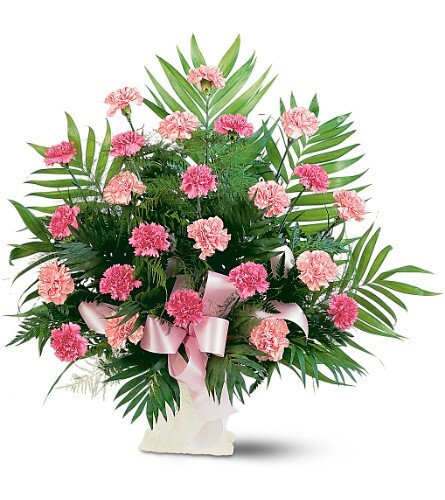 The sending of floral tributes and the presence of flowers and plants in your name to a funeral, cremation or a memorial service serves many purposes. 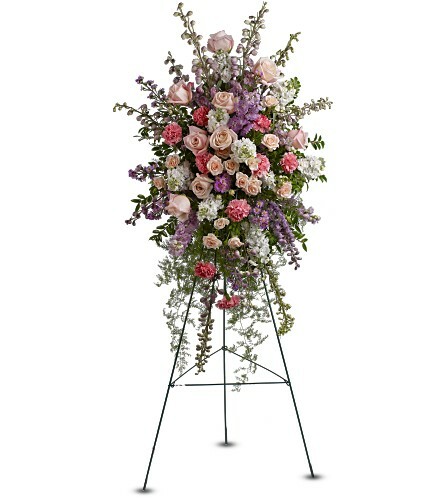 The expression “flower power” springs to mind as the grace and natural beauty of flowers speaks volumes of your sentiment: offering comfort; an expression of kindness and a token of respect to both the deceased and family members. 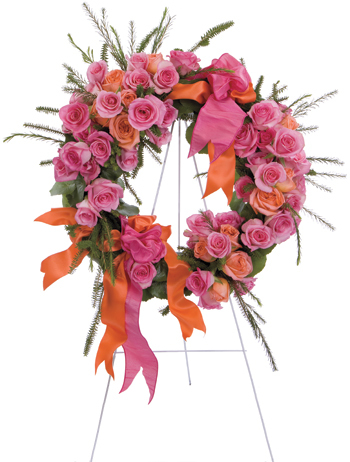 Friends and (former) colleagues may wish to recognize the deceased with flowers in the form of a funeral basket or, depending upon the number of persons involved, a standing spray. Plant or “dish garden”, the latter being a collection of foliage plants, often enhanced at a service with the addition of appropriate fresh-cut flora designed amongst the plants. 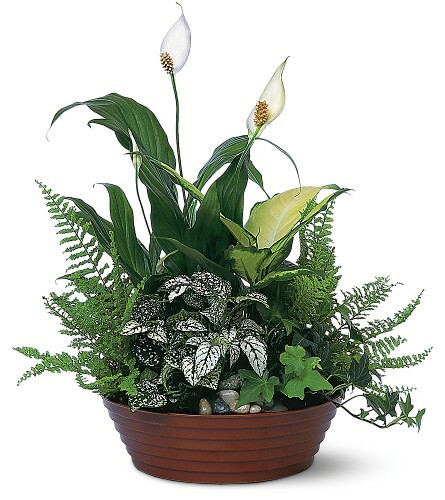 These vary in size and the most commonly seen plant at a funeral is probably the Peace Lily. As with a vased piece, the plant or “dish garden” is often taken home after the occasion by family members. You often see statements in the Obituary asking “…in lieu of other expressions of sympathy”. This phrase, or similar, is often placed into the Obituary without a second-thought for flowers give the room or location where the service is being held atmospheric enhancement. The flora “dress” the occasion and place with dignity, respect and charm, and have done so on such occasions throughout history and in most belief codes. 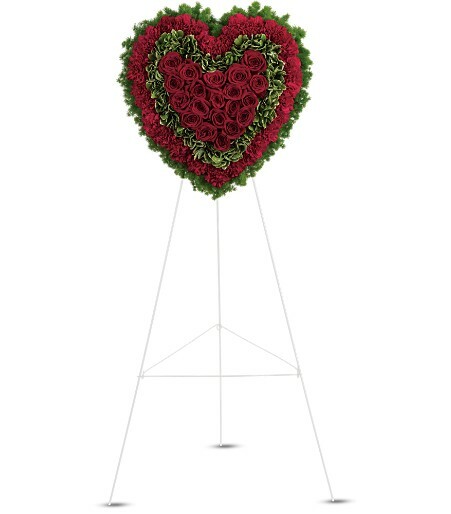 Ultimately, think of a funeral with flowers and then imagine it without – quite a difference. If you choose, for whatever reason, not to send flowers to the services for the deceased, we recommend sending them to the family home where the sentiment is felt more immediately, especially if there is sometime between the passing and the service. When sending to the residence, there are 3 options: a vase arrangement, plant/dish garden or a basket of fruit, perhaps with cheese, crackers et cetera. If you intend to visit the family prior to the service, a gift such as one of the options mentioned above is good etiquette. 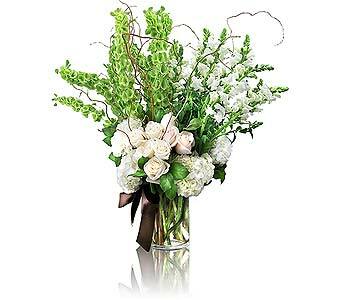 It is recommended you do not send or give flowers that require processing & designing into a vase as the family has more than enough matters that require their attention and your gift may get neglected. The giving of flowers at any “wake” or function after the services for the deceased is usually not appropriate. The time for the flowers was the service itself or they should be sent to the family residence. 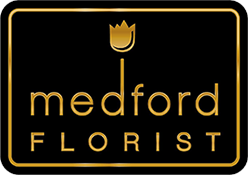 On behalf of Medford Florist & Gift Shop, we trust that the above information has simplified the etiquette of flowers at a time of loss and that you will always consider the giving of flora at such emotionally difficult times. You may wish to note that Medford Florist & Gift Shop offers to those immediate family members of the deceased who order funeral floral requirements of a casket spray and wreaths, crosses and/or sprays from us, a charitable donation to the charity of their choice up to the amount of 10% of the flower expenditure they make with us.